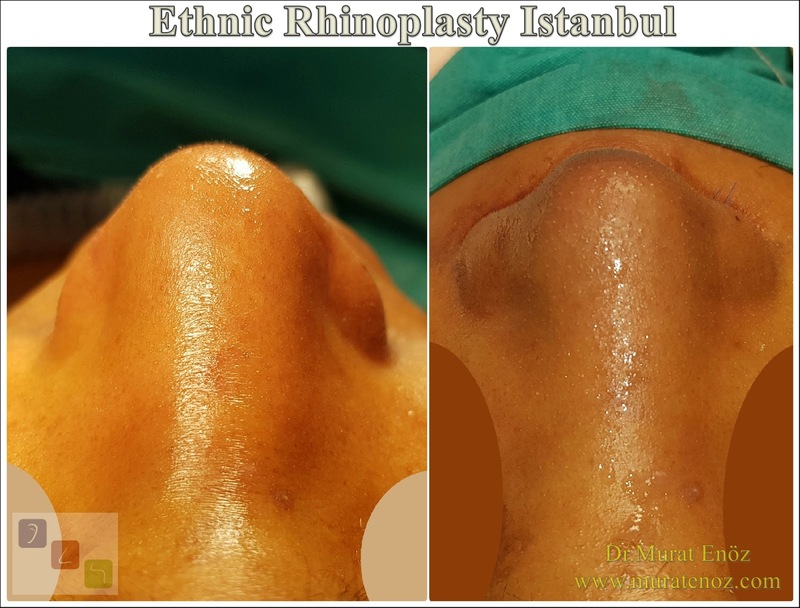 Why Ethnic Revision Rhinoplasty is a Difficult Operation? 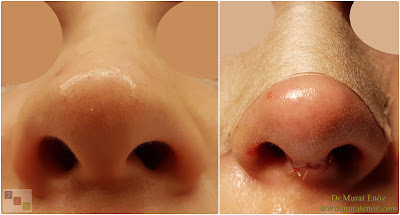 Thick skin and oily skin characteristics may cause the expected amount of edema after rhinoplasty to be greater than normal, and the recovery time is longer than the orbit. 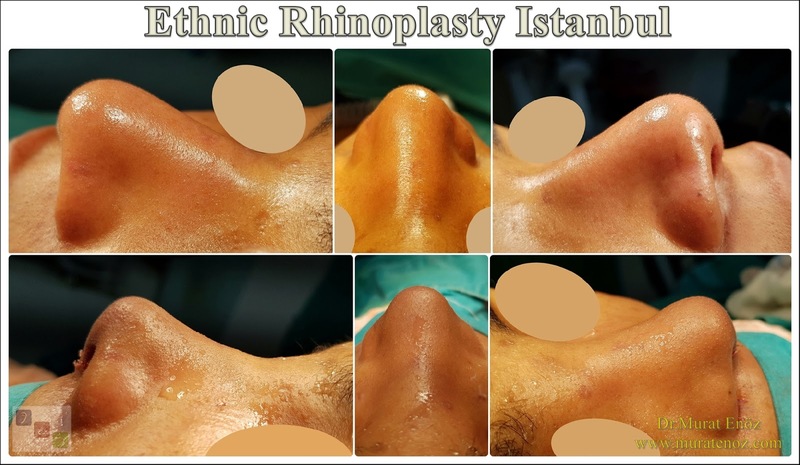 During surgery, "thick skin rhinoplasty algorithm" is required to perform procedures. 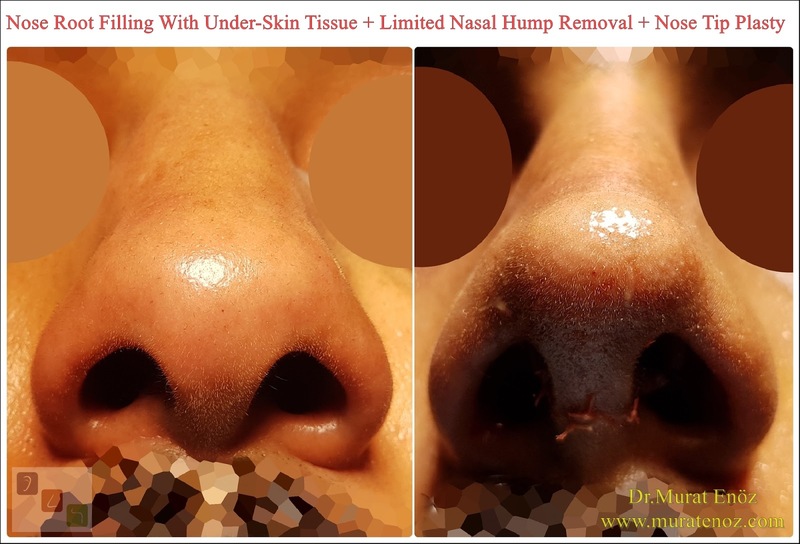 Open technique nasal aesthetics may be preferred, and bilevel serial dissection and subcutaneous tissue removal may be required. Due to these properties, different bone fractures (osteotomy) and nasal tip skin removing or stitching procedures (such as alar base resection techniques) may be required. 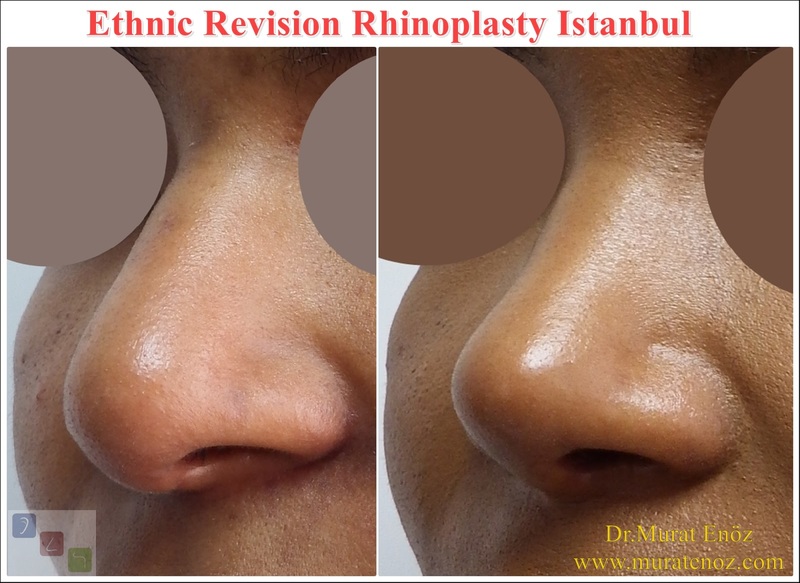 Particularly in patients from some African countries and the Far East, due to this particularity, "augmentation" of the nasal arch may be required to reconstruct the "nasal arch" instead of bone tissue resection during rhinoplasty operation. For this purpose, subcutaneous tissue, cartilage and bone powder, muscle membrane can be used. 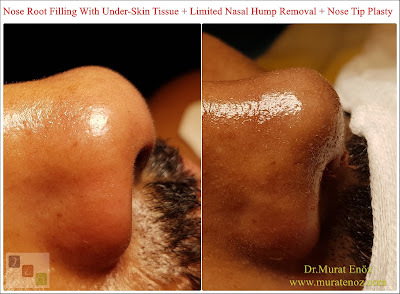 - More fleshy and heavier nose tip! 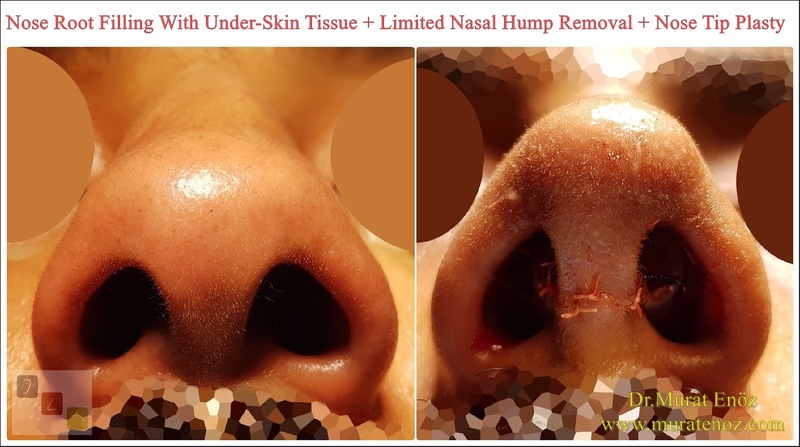 Because of this feature, it may be necessary to consolidate the nasal tip support cartilage tissues and additional cartilage graft applications. 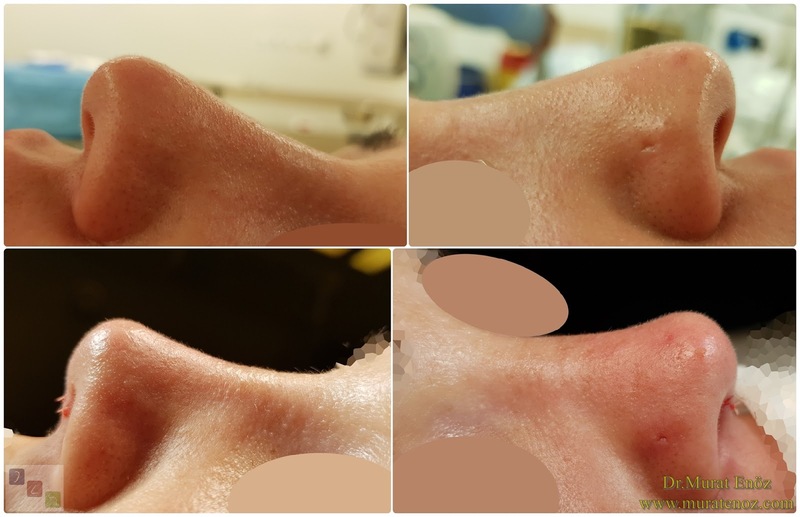 Ethnic rhinoplasty surgery, especially in patients with oily skin structure, more than normal tissue edema and sometimes appear as a round ball appearance. 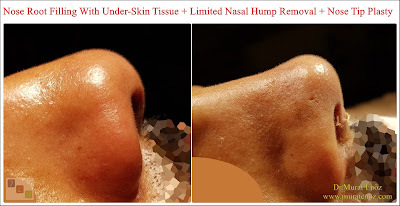 Although there are many different suggestions such as various meikal products and herbal edema bruising products, cortisone njection, salt restriction in meals; the impact of many is controversial. - In addition to the risks involved in all revision rhinoplasty operations, thick skin properties are added! In addition to the changes in tissue structure, fibrosis and tissue blood supply due to recurrent anatomic trauma; It is not enough that the surgical experience and knowledge of the doctor alone is sufficient. The patient's healing characteristics and the patient's postoperative care affect the outcome. 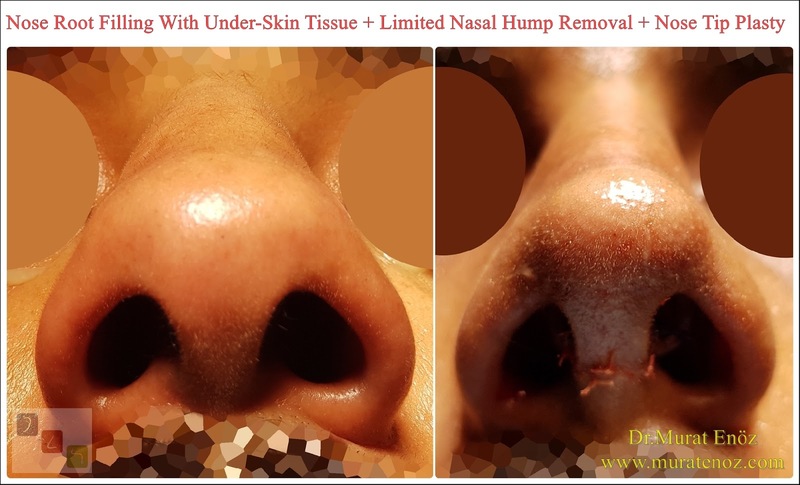 I wish success in your surgery and hope you will be have a nose that meets your expectations. 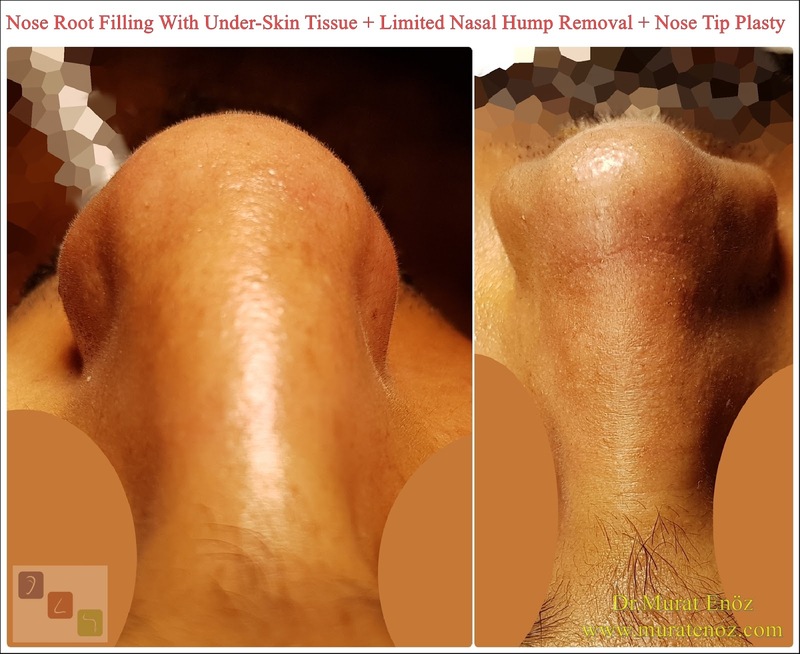 Nose tip surgery (or nose tip plasty operation) is the operations performed to change the nose tip for aestehic or functional reasons without breaking or changing the bone structure. The nasal aesthetic is applied to the person with a well-formed bone structure but deformed at the tip of the nose. Nose tip surgery is usually performed on people with thick nose, droopy nose tip, loss of angle at nose tip, malformations in nostrils, septum curves that need to be corrected, and previous nasal aesthetic surgery but nose tip plasty operation is needed. Nose tip surgery shows a much faster recovery process than the classical nose aesthetic surgery applied to a fully troubled nasal cavity. Peripheral aesthetic swelling, bruise is less experienced. Hemorrhage and edema are almost as little to be expected for a complete aesthetic surgery. It will not be painful because there is no bone fracture in the nasal aesthetic. The livelihood is also very small. Your doctor will write the necessary prescription for this. You will be discharged on the same day as the nasal operation. In the above animation video, simple nose tip plasty operation is shown.